Pronunciation of my hopeless name (funny letters and all): Pronouncing "helgeh kaw-reh fevskahnger" as it would be natural according to English spelling should result in an acceptable approximation (hard G's, please, and keep the accent on the first syllable in all three names). E-mail address: helge.fauskanger@nor.uib.no. Please notice that many of the questions people often ask me are answered in Gildor Inglorion's general FAQ, which in turn is a supplement to the Elfling FAQ. Please try to find an answer to your question in these documents before asking me. Snail-mail address: Helge K. Fauskanger, Lille Fauskanger, 5314 Kjerrgarden, Norway. 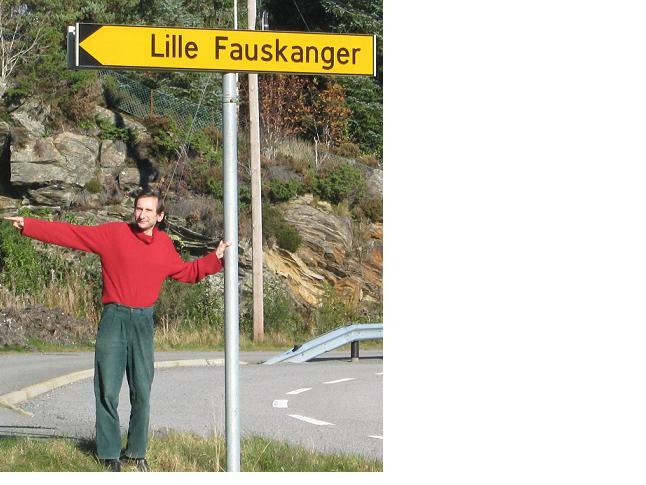 Please notice that "Lille Fauskanger" is a place, not a person! I have received letters with my name followed by "C/O Lille Fauskanger", some people apparently thinking that "Lille" is my mother or something, and that any letters to me must be delivered to her! Actually "lille" is the adjective "little". My ancestors settled in the Fauskanger district in 1749, and naturally took their family name from their place of dwelling. Fauskanger is subdivided (by some hills) into Store and Lille Fauskanger, Big and Little Fauskanger. The latter name forms part of my address, since that is where I happen to live. I hope this buries the myth of the mysterious Ms. Lille Fauskanger who supposedly takes care of my mail! IF ANYTHING IS STILL UNCLEAR, PLEASE CONSULT PICTURE ON BOTTOM OF PAGE! Education: Cand. philol. (corresponding, roughly, to a master's degree) in Nordic languages. I wrote a treatise about Norwegian Bible translations, with detailed comparisons of three modern versions. Political opinion: Probably libertarian; it's been a while since I checked what I really mean. General interests: Space exploration; religions and popular superstitions as cultural phenomena (I admire the work of James Randi); certain aspects of biology (evolution); archaeology; linguistics. I have also taught myself some Hebrew, partially to gain a wider linguistic perspective, but also for my own delight. From early childhood I was fascinated by ancient inscriptions and weird scripts, so I was easy prey for Tolkienian linguistics - all the more so when I am often willing to spend much time and energy on exploring a fictional universe, if it is carefully constructed, with an eye for details. Tolkien's world definitely is. Other Tolkien-related writings of mine: I have written out some ideas for how the story of Westernesse (Númenor) could be adapted as a movie; in my opinion this story would make a stronger prequel to the Jackson Trilogy than The Hobbit. 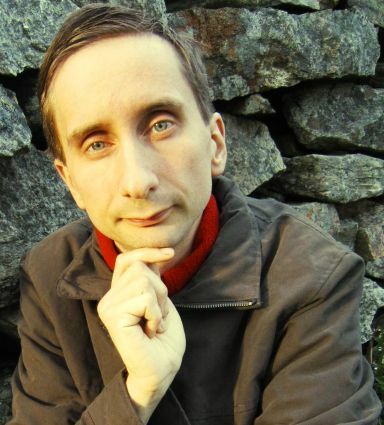 People who can read Scandinavian are invited to visit helgefauskanger.com, where you will find links to various works of mine - some of them Tolkien-related!